This is Egypt as it has never been seen before! 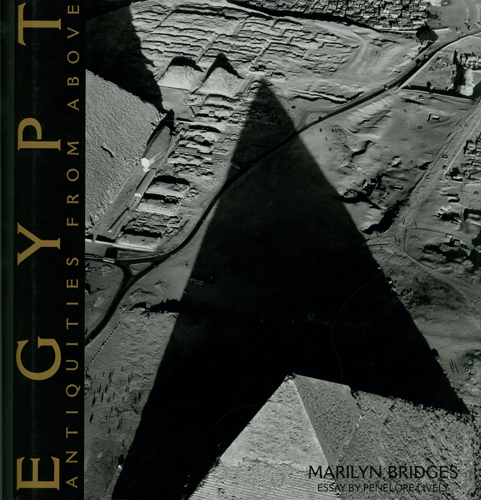 Marilyn Bridges's powerful aerial photographs document the architectural achievements of nearly four thousand years of Egyptian civilization, from the great pyramids of the Old and New Kingdoms to the splendid temples of the Roman period to Islamic beehive tombs. After months of delicate negotiation with the Egyptian military, Bridges gained permission to fly over and photograph these ancient monuments. The results is a unique and extraordinary view of these celebrated sites - "a privileged view of the Nile Valley," notes Penelope Lively in her essay, that puts "the mountains of antiquity within context."